The Most Versatile Cellular Band High Power Amplifiers on the Market…and Only From Corry Micronics! In today’s world, limitations are never a good thing. Sub-components should enhance your efforts – not hinder them. They should allow you the flexibility and versatility to quickly bring to production what you envisioned on the drawing board. 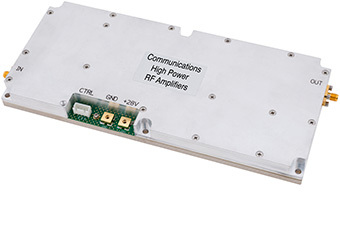 Corry’s Cellular Band High Power Amplifiers: Boosting Versatility to a Whole New Level! …with high linearity, high power efficiency; all with base station quality! WE CAN CUSTOMIZE CELLULAR BAND HIGH POWER AMPS TO YOUR SPECS AND YOU’LL STILL MEET YOUR PRODUCTION DEADLINES! You want versatility? This is it. You want customization? Talk to us. You want end-to-end quick service and high quality at low prices? Corry’s all over it ‑ and more! Download a spec sheet to reveal even more of the mind-blowing, game-changing versatility and features in our Cellular Band High Power Amplifiers! Need it built your way? No problem! Our engineers are smart…real smart. Our production is flawless, schedules move fast, and everything’s tested to reliably deliver more of the good stuff you want…with prices that don’t say “custom”. Engineering Expertise – even for those “it can’t be done” problem customizations! Production Schedules that deliver “yesterday”! And Our Prices for in-stock and customized solutions that drive the competition nuts!